Net sales decreased by 4.2% in 2017 to EUR5.5bn, while in Q4 2017 they fell by 3.7% to EUR1.39bn. This negative performance is due to the closure of some underperforming El Arbol and Dia stores in Spain, which was reflected in a 3.9% decline in store selling area. In addition, the store upgrading activity conducted throughout the year was very intense in 2017, with 613 stores upgraded during the year (vs. 307 completed in 2016). Regarding banners, the Dia format did not perform according to expectations, although La Plaza had a very good year and Clarel also performed well until the summer, when the format started to be affected by its high exposure to Catalonia, a region where the company operates more than 650 Clarel stores. Adjusted EBITDA declined by 16.0% in 2017 to EUR426.3m, with EUR85.3m generated in Q4 2017. The decrease in adjusted EBITDA seen in the last two quarters was due to the competitive environment of the Spanish market and the worse-than-expected negotiation terms with suppliers. The adjusted EBITDA margin decreased by 109bps in 2017 to 7.7%, with a 406bps erosion in standalone Q4 2017 to 6.2%. D&A decreased in Iberia for the second year in a row. Depreciation went down by 4.4% in 2017 to EUR170.5m. In the standalone Q4 2017, it declined by 1.0% to EUR42.1m. Adjusted EBIT fell by 22.3% in 2017 to EUR255.8m, reflecting a 108bps decrease in margin over net sales to 4.6%. In Q4 2017, adjusted EBIT fell by 58.6% to EUR43.2m, reflecting a margin erosion of 414bps to 3.1%. (1) Adjusted by other items excluded from adjusted EBIT . In 2017, net sales in Emerging Markets rose by 6.6% to EUR3.11bn, +10.0% in local currency, reflecting a negative 3.4% effect from currencies. In Q4 2017, net sales fell by 5.0% in Euros to EUR775m but went up 8.8% in local currency. Adjusted EBITDA climbed by 18.4% in 2017 to EUR142.3m (+21.4% ex-currency), while in Q4 2017, adjusted EBITDA increased by 4.9% to EUR51.6m, +15.9% ex-currency. With these figures, the implicit adjusted EBITDA margin improved by 45bps in 2017 to 4.6%. D&A rose by 27.1% in 2017, but only 12.2% in Q4 2017 to EUR15.4m, although ex-currency the growth rate was very similar in Q4 2017 (25.3%) and full year 2017 (27.2%). These growth rates are entirely due to the higher level of capital allocated in these markets in recent years. In 2017, adjusted EBIT grew by 12.5% to EUR80.8m (+17.4% ex-currency). The adjusted EBIT margin improved by 14bps in 2017 to 2.6% and by 33bps to 4.7% in Q4 2017. 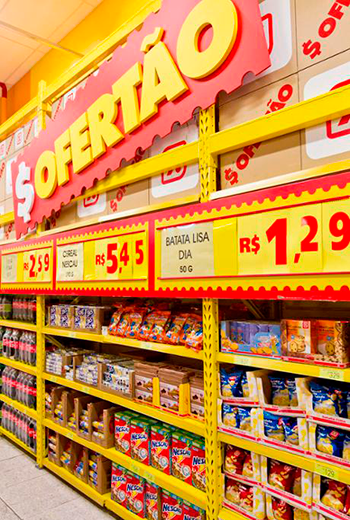 Last year was another challenging year for food retailers in these countries, but particularly in Brazil. Despite the tough conditions, DIA continued to expand its store network in both countries, gaining market share fast (+ 40bps in Argentina to 14.1%, and +60bps in Brazil to 7.8%). 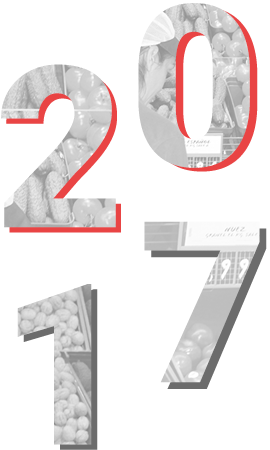 2017 was DIA’s twentieth anniversary in Argentina, a milestone that was celebrated with even more intense promotional activity and the further development of private-label products. 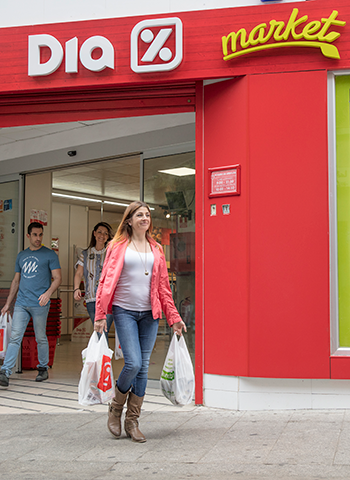 In Brazil, the loyalty program is now fully implemented and is up and running in all regions, accounting for 84% of sales with its 7.1m DIA Club card users. (1) Adjusted by other items excluded from adjusted EBIT.